Most mines sell gem dirt in a bucket or bag. You are provided with a screen for washing and there is a flume – a trough of running water. You pour some dirt in the screen, dunk the screen in the water and the water washes the mud away. It is an inexpensive activity that young children especially will enjoy. See what gems and quartz you can find! Choose from a wide variety of bags and buckets; all equipment is furnished for free. All gem mining and gold panning troughs are covered and offer seating. Bring your gems to the assay office for identification and then utilize the lapidary and jeweler for polishing and setting. And don't forget to visit the gem, gift, and rock shop before you go. Open year round. 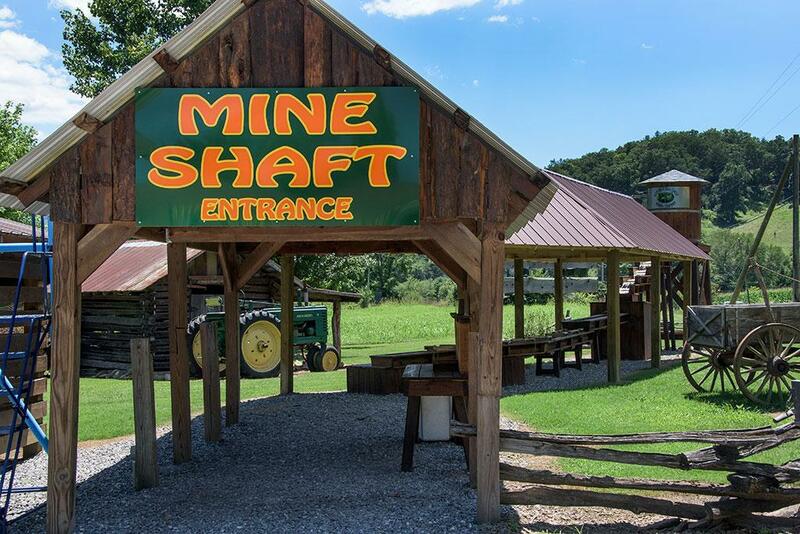 Only gem mine in Bryson City. Located at Deep Creek Tube Center & Campground; open April through October. Different size bags of gem dirt for sale at the campground store. Covered flume allows you to mine rain or shine. Who knows what you might find! Do you want to book adventures like Gem Mining plus multiple other Adventures while you’re here for vacation? Save time making reservations and do it all at one website! Our adventure planning and reservation concierge service consolidates your vacation research and planning in one place. 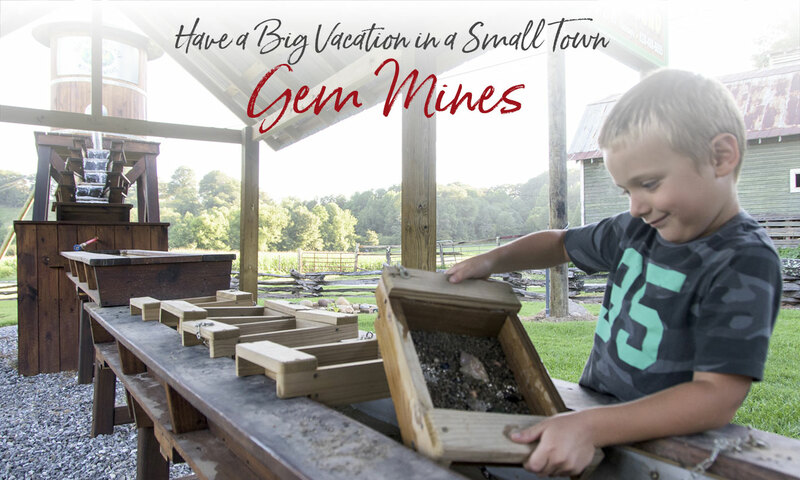 Visit our website, choose your desired adventures like Gem Mining and we’ll make the reservations plus set up your itinerary! Mining for ruby and sapphire began in the Western North Carolina mountains in the late 1800s. Called corundum, the minerals were mined commercially to use as abrasives on everything from sandpaper to large machines used in machining metals, plastics and wood. Corundum and other minerals, mica and kaolin were shipped out of the mountains in large quantities. Mining companies had an interest in the area, hoping to find the source of the rubies found in the corundum mines. Their search ended in the early part of the 20th century leaving the area open to rock hounds and gem enthusiasts.